Costa RicaPortugal HyperlapseSpain & Portugal TimelapseBarcelona GO! The average age for WOD the World Tours tours is between 18 and 99. The age might vary for specific tours, so please check individual tours for details. TourRadar only requires a deposit of $99 to confirm a Transguadiana Travel Agency booking. The remaining balance is then payable 60 days prior to the departure date. For any tour departing before 24 June 2019 the full payment is necessary. 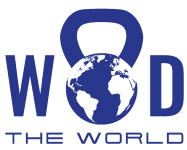 TourRadar only requires a deposit of $99 to confirm a WOD the World Tours booking. The remaining balance is then payable 45 days prior to the departure date. For any tour departing before 9 June 2019 the full payment is necessary. No additional cancellation fees! You can cancel the tour up to 45 days prior to the departure date and you will not need to pay the full amount of the tour, but the deposit of $99 is non-refundable.If you cancel via TourRadar the standard cancellation policy applies.